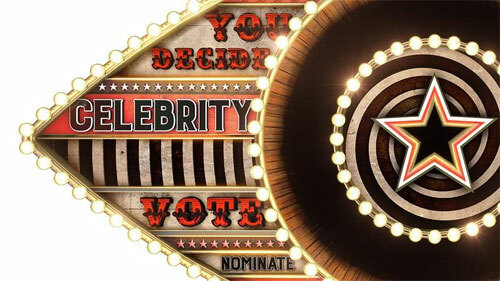 So, shall we pop over to our Celebrity Big Brother and chat to Justin Bieber, Ed Sheeran and some other huge celebs?!!! Yes, let's have a countdown. Yes, basically we have made our very own Fantasy Big Brother House and invited all of our favourite celebs to stay there indefinitely, doing really stupid tasks and getting into arguments. Last week, Adele told us about her toilet problems and naked farting, and Justin Bieber said that he saw Simon Cowell getting out of the shower. Hello guys. Hi Dan and Phil, hope you had a good birthday last week Amazing Phil, and hi Zoella, well done on getting ten million YouTube subscribers this week. Right, let's start of with Justin Bieber then, as this is a Bieber special. Hi Justin. What is the best thing about staying in our Big Brother house? Probably just being able to express my feelings. Have you been doing much? I've been so chilled, I haven't had to do much. Sounds like you've been a bit lazy Justin. Make sure you keep in shape for your upcoming tour. No, that is your single, your tour is called Purpose. So Justin, how are you getting on using the shared toilet? It took a long time to do, I can't wait for people to hear it. I'm not trying too hard to do Pooh bear. I don't want to hear any more about your toilet habits Biebs, I wish I hadn't asked, thanks all the same. Adele said you keep leaving the toilet seat up. There is definitely been moments of me being a jerk. Let's have a quick chat with Ed Sheeran now then. Yes, Ed, your song Don't, what is it about? You sing 'For me and her we make money the same way, four cities, two planes the same day'. You were with Taylor Swift a lot at the time weren't you?! No, it is not about Taylor. Good thing that Ellie Goulding is not in the house, or Niall Horan, just saying. Precisely, I was just trying to please everyone. Yes, and it sounds like she was too. Anyway, how are you getting on with Justin? Bieber's not without his charm. And we like to ask everyone about how they are getting on going to the toilet. Are things OK in that department Ed Sheeran? I had a number one five weeks ago. Blimey, try and drink more water. Are you struggling to go then Ed? The last time I was struggling was 2009. And Taylor Swift, is it true that you've been playing Pictionary to pass the time? And what exactly happened when you saw Simon Cowell getting out of the shower then? He's like WAAAAA, so I back up a tiny little bit. I was absolutely freaked out! And how are things now then? We're sort of at the point where we can finally laugh about it. Simon Cowell, how are things with you? And I hear that Justin Bieber and Taylor Swift saw you getting out of the shower and you were starkers. I've got to say that we had a great time, and I hate to admit it, but he is really, really good on the show. How are you spending your time in the Big Brother house? I've asked a lot of girls to marry me and they say no. Well at least you've tried, but don't forget that you are married already Simon. Yes - Then I realised I'd made a mistake. Simon, Nia here, can I ask you, now what is the deal with your hair please? You are going to talk to me about hair?! Bit rude. Do you have anything to say to me and Liv Simon Cowell? If you had to push me or my brother off a cliff and you don't tell me, I'll die in a plane crash.